Top 10 Heroes We Hate! Caped crusaders and righteous paladins leaping to save the day to the tune of victorious fanfares and screaming groupies, then they leap from the fray, utterly unscathed and twinkling everywhere a hero should twinkle. Doesn’t it make you sick? Some do-gooders do so much good you start to wonder. Nobody’s perfect, so what’s wrong with them that they aren’t telling us. Or maybe their flaw is so obvious and insipid that no matter how many lives they save we just can’t bring ourselves to let them off the hook. Welcome, you judgemental band of thugs, to our Top 10 hateful heroes! Axed after only three of the… where are we now, seven games (not including the smaller titles). Alright so in his third appearance he was actually quite interesting, but the only purpose he’d served until then was to be the reason for telling the stories of assassins throughout history. Short sections of the game made to feel torturously long by the dramatic loss of action and sudden upswing in long dialogue in which your role is to get off one bed, go to another, and back again in the morning. Desmond Miles may not be utterly loathsome in himself, but there’s no denying that his participation in the narrative seriously breaks up the flow of the action. For the bulk of the series he’s taken a back seat, his story being complete, and him being dead and whatnot. His DNA strand continues with a little narration every now and again to remind you why the later games are better. 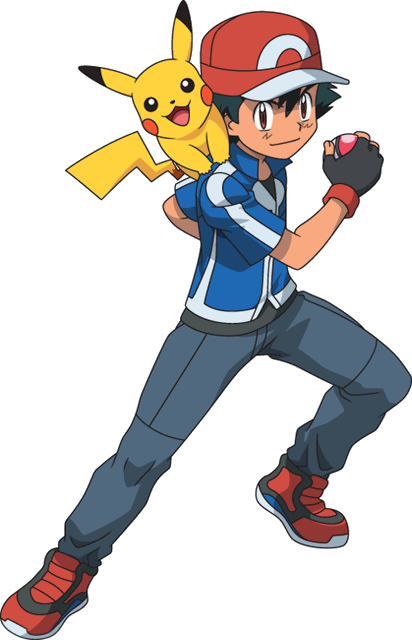 Get this: The opening theme to the original series of the Pokemon anime went and said words like “I wanna be the very best, like no-one ever was.” Then why, pray tell, do we have Ash Ketchum? He’s nowhere near the very best, in fact, he’s amongst the very worst in the whole of the Pokemon universe. Many people feel this way about him, that he wasn’t exactly the winning Pokemon Master that we wanted to see in our Pokemon anime. In the manga, we had Red, who legitimately was a brilliant trainer. So then to be given Ash instead of Red, it feels like something of an insult. He might want to be the very best, but he’s only ever won one Pokemon League and that wasn’t even a main one. Bah, my character in Pokemon Black and White was a better trainer than him! The great and mighty guardian of Champion City, swooping in to save the day whenever it’s in peril and he’ll get good publicity out of it, for himself and his many, many… many sponsors. How else could he afford all of the arms, armour and the cool jetpack that just keep him so very amazing? I mean, he’s good friends with billionaire philanthropist Lance Hunt, sure, but Lance has his own life to lead, doing… come back to that one. Anyway, this is the man who intentionally allowed super-villain Casanova Frankenstein back on the streets in order to raise his public profile; apparently the multi-storey statue wasn’t cutting it any more. It may be a little bit of a cheat, including the hero we’re supposed to hate on this list, but Mystery Men does such a good job of setting up this loathsome little fall-guy that it really makes you really think hard about the heroes you blindly accept as “the good guys”. 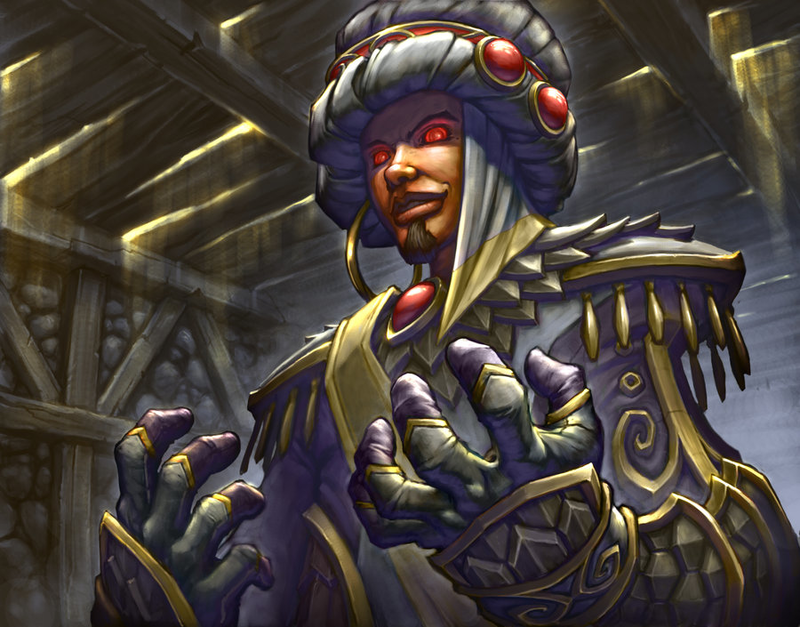 I was recently introduced to this character having dropped out of World of Warcraft… And I can’t find a single redeeming feature about him. He’s childish, he’s brash, he’s arrogant and he’s a god damned child hero. This is never a good mix. The only plausibly redeeming factor he has, is he may one day grow up… And the world (of Warcraft) will rejoice in unison at this little scamp when he stops being such a poor, typical character. It’s all well and good wanting to draw in younger audiences, which this guy will easily do. He’s likable in that you know he means well but does so in arrogant ways. It caters well to a younger, more rebellious audience. But to the rest of us, he’s just a spoilt brat of a kid who doesn’t actually understand the direness of the situation the world is in. Urgh. “Alice? Who’s that?” says the fan of the Resident Evil game series who rightfully avoided the films, “OH!” They continue, “You mean that character who doesn’t exist in the games, has no personality, and was basically just an excuse for Paul W.S. Anderson to wiggle his wife into six films? Sure, I know Alice.” This is followed by a look of withering sarcasm. Hear us out here. We all love Mario, this is undeniable is it? However he really is an utterly contemptible little man, because there’s another man in this equation… And several peaceful individuals are also ruined by his constant presence and his corny catchphrases. Let’s take the obvious route first and talk about his younger brother, Luigi. 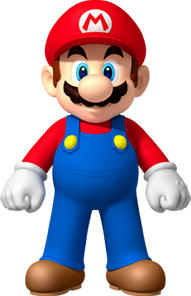 Mario is the poster boy of Nintendo: Super Mario Bros, Super Mario 64, Super Mario Sunshine; you get the point. What does Luigi get? An admittedly cool vacuum cleaner, but it’s still a vacuum none-the-less. Mario gets to chase the princess whilst Luigi gets to be haunted by ghosts. So on the list of loathsome slimes with superpowers, introducing the guy who cheated on his telepathic wife with another telepath! Really smart move there Cyclops. The ability to shoot force blasts out of your eyes does not make you useful and the shades make you look like a douchey frat-boy. And someone put this idiot in charge of a school? Nope. He vapourized former head of the Xavier Institute for Gifted Youngsters, Charles Xavier. Officially the lamest of the entire Summers bloodline, which includes Cable, Havok, Vulcan and the power-mimic Hope Summers. Poster-boy for the X-Men and devoted pupil to Xavier, Scott may very well have recruited hundreds of kids to the sanctuary of the school and the safety he never had as a child. He then proceeded to turn the place into a super-soap-opera. Whine and whine, this is all this little boy does… But the thing is, we hate him for it. He’s not a compelling character and the worst part of all of this is that we don’t hate him just because he whines. We hate him because he is what we all hate about ourselves. Think about it. If you’ve been faced with perils of the entire universe, that only you in your limited knowledge of this ship that no one else can control. So pray tell, why is it that the first thing you think isn’t “I must stop the baddies” but more “I must curl into foetal position and cry this nightmare away”? 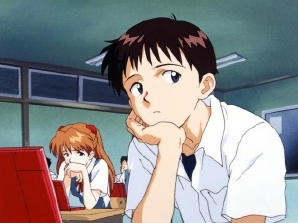 The reason we hate Shinji so damn much isn’t because he’s whiny, or pathetic or even weak… But he’s an accurate representation of the vast majority of humanity in a nutshell. Many of us, even the proudest, will not find the inner strength to save whole worlds. Still, if you’re up for reading something NSFW, check out this classic post of Shini vs A Wet Tissue by the famous Ben ‘Yahtzee’ Crosshaw of The Escapist fame. What? How did this happen? Number 2? Yes, DC’s Swiss Army Super Hero may be one of the most irritating retcon engines in comic book history with a battery of powers so complete that the possibility of him losing in any situation seem as laughable as wearing your pants on the outside (underpants for our American readers). He’s not without his weaknesses of course, not just the shiny green rocks that are so rare that only billionaires and people who really want it can find it. He’s also quite vulnerable to magic and a lack of vitamin D.
He died once y’know! Just popped right back up again. That’s the top of a list of disappointments: glasses as a disguise, cape, powers “because aliens I guess”. It’s so bad it’s practically a meme! Most of us are still waiting on a decent reboot but with Zack Snyder at the helm that’s not likely to happen for another decade or so. So how did the All-American-Boyscout get beaten to the number one slot? Here is where I deeply crack my knuckles. I have read excerpts, wikis and summaries of Twilight, its’ sequels and unauthorised spin-off, and that’s about the limit of investiture I’m willing to put into it. I’m prepared to give the quality of the writing, the weaving narrative, the supporting cast of characters (who I hear are actually fairly interesting) the benefit of the doubt. But I am utterly stymied by the sparkly vampires, weirdly predatory relationship behaviour, and above it all the unabashed, sickening and utterly characterless Mary-Sue “protagonist” Bella Swan. Loathsome? Certainly, but how do we derive hero? It’s the name we often falsely ascribe to those people around whom the story revolves, and Myers – sorry – Swan does nothing heroic to speak of. She does obtain an array of powers after her transformation into a vampire, but here’s the interesting thing: As a mortal she’s noted to be clumsy and a bad liar, afterwards she becomes uncommonly agile even for a vampire, and she also has the ability to shield herself from psychic powers, and therefore hide her thoughts. Thus completing the role of blank canvas that any girl can pretend is really her, and super mysterious guys with rippling everything will love them. Lesson for everyone, male or female: Interesting is attractive, cardboard cutouts are not. We have never meant the word “Honourable” less. You can leap to the rescue as much as you like, you can’t win ’em all, you’re not winning us, and you didn’t even win a spot on the list! You’re just sad. Here’s a couple of schmucks we decided to throw a bone to. You’re welcome. We once did Top 10 Sci-Fi Cliches. When we did that article, we listed Child Geniuses as one of the Sci-Fi Cliches that we feel is done to death and is just not fun. So Anakin fits this mould perfectly and is one of the most cookie cutter characters created. Honestly, if you watch Episode 1, he’s far too young to be doing anything of the sorts that he does… But hey, he brought in a young audience right..? Is that really such a good thing, though? I mean apparently, this little kid built C-3P0!? Sure, he later on becomes a cool character, in the name of being a brilliant bad guy. 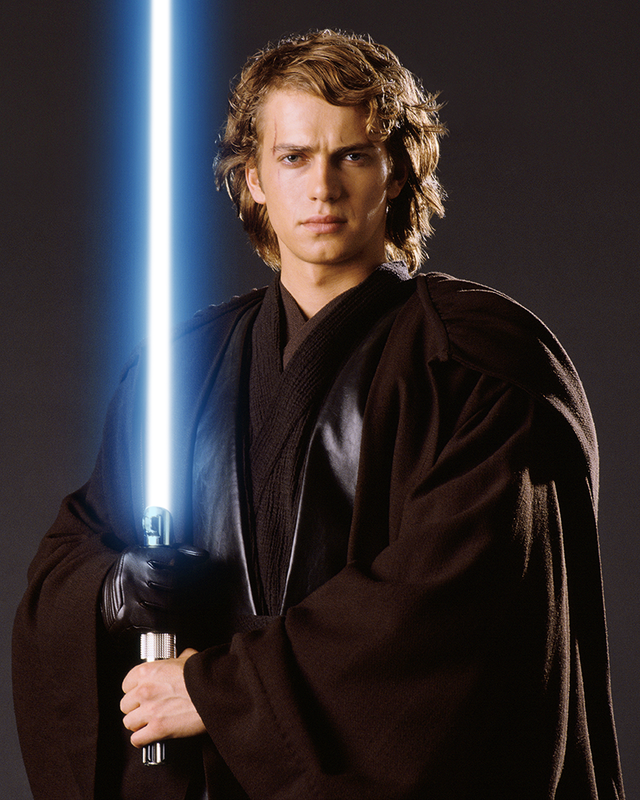 However the young Anakin in Phantom Menace is an inexcusable mess. Romeo, o Romeo, where for art thou, Romeo? This dude is really just out there man. I mean, the whole tragedy could have been avoided if he wasn’t such a crazy guy who likely had attachment issues. Honestly, think about the story for a minute and you’ll come to realise that if he had literally waited for a bit and mourned his “loss”, then not all would have been lost. But then all was lost, because he goes ahead and offs himself. Don’t question why I gave such a massive spoiler there, this is Romeo and Juliet, everyone knows the “spoiler”. Rocks Fall, Everybody Dies. 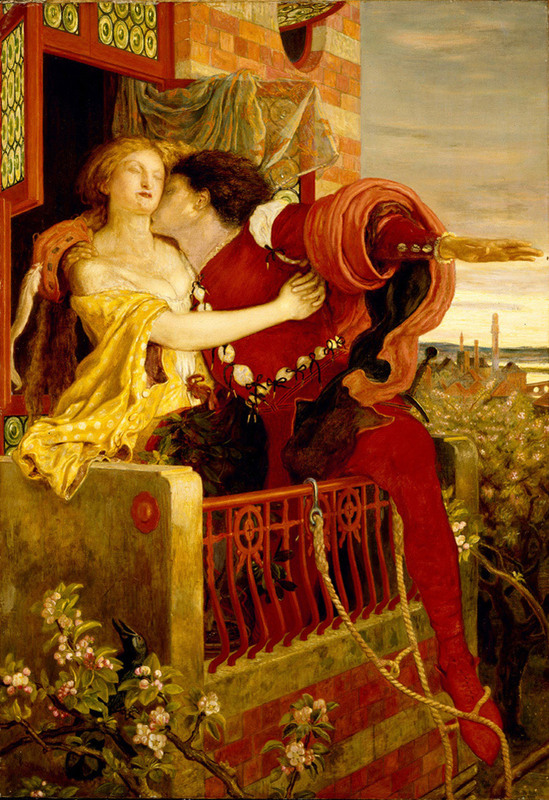 Only this time, Juliet falls, Romeo (then Juliet) dies! Ok, we’re done hating for today. Next week, no super heroism! Maybe super-heroism, but we’ll try and cut down, we promise. In order to remain on your good-side, and keep ourselves off this very list – or worse, the honourable mentions – get to voting for our next Top 10! Didn’t see your most hated hero? Disagree with our ordering? Disagree with us in general? Or maybe you just want to chat? That’s ok, we’re here for you buddy, take a seat, I’ll get the kettle on. Join the discussion in the comments down below, and on our Facebook page and Twitter feed. This entry was posted on October 3, 2015 by GeekOut Team. It was filed under Comics, Entertainment, Film, Gaming posts, Television, Top 10, Video Games and was tagged with Alice, Anakin Skywalker, Ash Ketchum, Assassins Creed, Bella Swan, Captain America, Comics, DC, Desmond Miles, Evangelion, Heroes, heroes we hate, Mario, Marvel, milla jovovich, Movies, Mystery Men, Nintendo, Pokemon, Resident Evil, Romeo, Scott Summers, Shakespear, Shinji Ikari, Star Wars, Superman, Top 10, Twilight, World of Warcraft, Wrathion, X-Men.